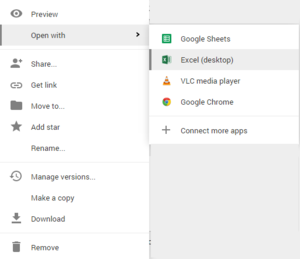 On Wednesday, Google further blended the lines between online and offline with a neat little browser extension that lets you automatically open documents from the Google Drive website in your installed desktop apps. You can, for example, open any Word documents in the desktop version of Word instead of working on them in your browser. Getting the new feature to work is not quite as simple as installing the browser extension, however—though it's close. Here's how to set it up. 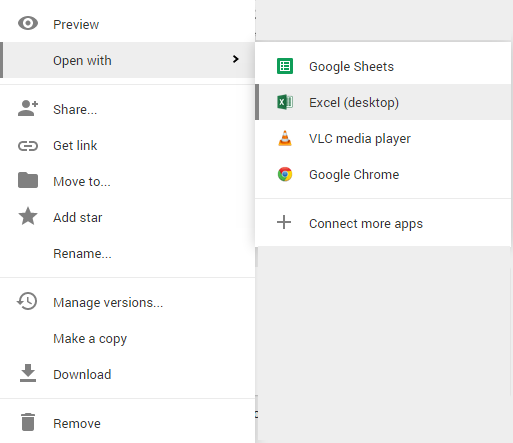 Before we get to the browser extension, you first need the latest version of the Google Drive desktop app. This is Google Drive's Dropbox clone, which puts a local Drive folder in the Windows File Explorer and syncs the folder's files with Google Drive. I'm guessing that most Google fans already have the Drive app installed. But if you don't, after installation wait for Google Drive to sync with your desktop before proceeding. With a few downloads from Google you can open Drive files from the web on the desktop with a right-click. Now it's time to install Google's Application Launcher for Drive from the Chrome Web Store. Once that's done, open Google Drive in Chrome and make sure you are using the new, revamped version of the web app. If you're not. there should be an option to switch to it at the top of your Google Drive dashboard. Otherwise, follow the instructions on the Google Drive help pages to get the new version. Next, right-click on any file that's in a non-Google Drive format, such as an Excel spreadsheet, Word document, or photo and select Open with from the contextual menu. You should see a list of compatible desktop apps. If you don't see any of your desktop apps, reboot Chrome and try again. Remember that this option only works with document formats recognized by your desktop apps. You cannot use this feature to open documents in Google Drive's proprietary formats. In my tests, Google Drive wasn't able to correctly identify and suggest all of my desktop apps. The open source GIMP photo editor, for example, didn't appear in the menu for JPG and other image types. But mainstream programs like the Microsoft Office suite, as well as Thunderbird, Sublime Text 2, and even HipChat (for images) were all there. Opening files from Drive on your desktop takes a few seconds longer than you'd expect, but it does work. 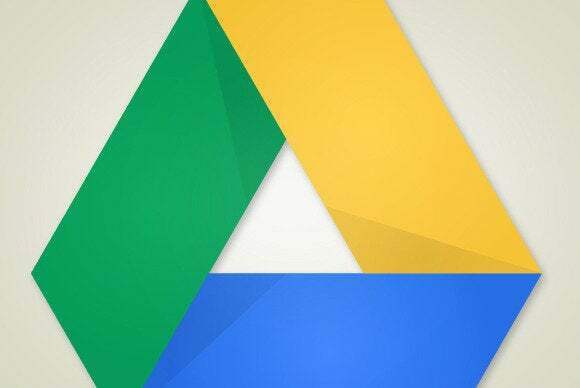 Changes you make to your documents are saved back to Google Drive, but you may need to give Google a few minutes before you'll see the changes reflected online. Google's new set-up is neat, but it does beg the question why not just open your files locally instead of messing with the web app? After all, you have to install Google Drive first and then pull down all your documents to your desktop anyway. I suppose it comes down to convenience. If you're more accustomed to living in the browser, right-clicking inside the web app is a simpler workflow than re-navigating your way to the document in File Explorer or an Office app. Plus, it's kinda neat and who doesn't love to have another way to open apps? Google's new feature works on Mac and Windows.